Foolscap manilla wallet in a wide range of bright colours. Holds large amount of A4 and Foolscap (FC) paper with a 30 mm gusset. Foolscap size - Made from strong 285 gsm printed manilla board. Sold individually so you can mix & match your filing! Foolscap manilla wallet in a wide range of bright vivid colours. Foolscap size - Made from strong 280 gsm printed manilla board. 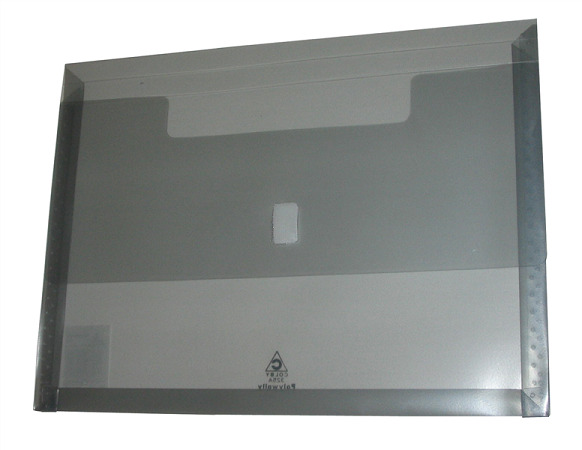 Bantex document holders to protect your documents during transportation. Transparent for easy identification of contents. Secured by button closure. No Gusset. Made from durable polypropylene material. Resists moisture and tearing. 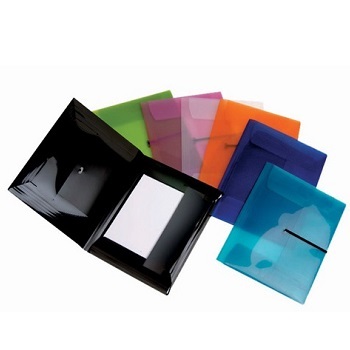 A4 size - Available in clear and a range of bright translucent colours enabling you to view your documents easily. Stylish document holder that is strong and versatile with secure button closure. Features write-on ID panel for easy identification of contents. No Gusset. Made from environmentally friendly, durable polypropylene material. Resists moisture and tearing. Stylish document holder for large A3 size documents. A3 size - Available in clear with secure button closure. Durable and tear resistant foolscap document wallets. Ideal solution for storing and transporting projects and documents. Features a 25 mm gusset and touch fastener. Foolscap size - Available in assorted colours. Durable and tear resistant A4 heavy duty document wallets. Features a 45 mm fabric gusset and secure touch fastener. A4 size - Available in assorted colours. Premium quality flexible, strong A4 gussetted wallets with velcro closure on flaps. See through, lightly embossed cover with velcro hook and loop closure on flap. Gusset expands 30 mm for extra capacity. Size - 320 x 240 mm to fit A4 size documents. Premium quality flexible, strong Foolscap (FC) gussetted wallets with velcro closure on flaps. Size - 367 x 247 mm to fit Foolscap size documents. Premium quality flexible, strong A4 document wallets with twin expandable inside covers. See through, lightly embossed cover secured with black elastic closure. Twin internal expandable copy safe pockets, scored to hold 30 mm of documents each side. Size - 315 x 250 mm to fit A4 size documents. Envelope style document wallets with an expanding gusset and a string & button closure. Strong polypropylene construction with secure closure. Ideal for storage and organisation of up to 200 sheets. A4 size - Available in clear and choice of transparent colours. Transparent and durable plastic case carries all your documents, papers and other loose articles. Convenient coloured horizontal zip that secures all your contents and ensures nothing falls out. Features a label holder on the front cover to easily identify contents. Available in 3 sizes - A5, A4 and B4 - Colour chosen randomly from stock. Sold individually - Order 24 (90082 / 90080) and/or 12 (90090) for a carton.